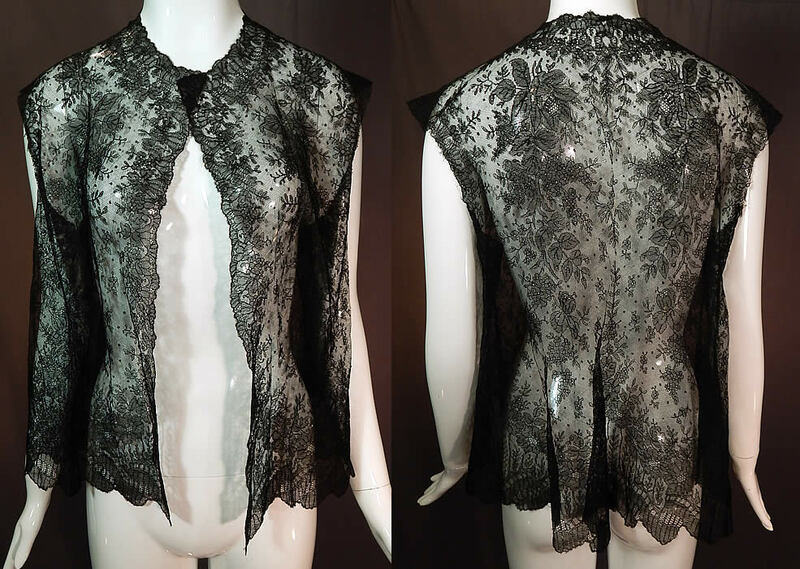 This antique Victorian era black Chantilly lace shawl sleeveless vest jacket top dates from the 1860s. 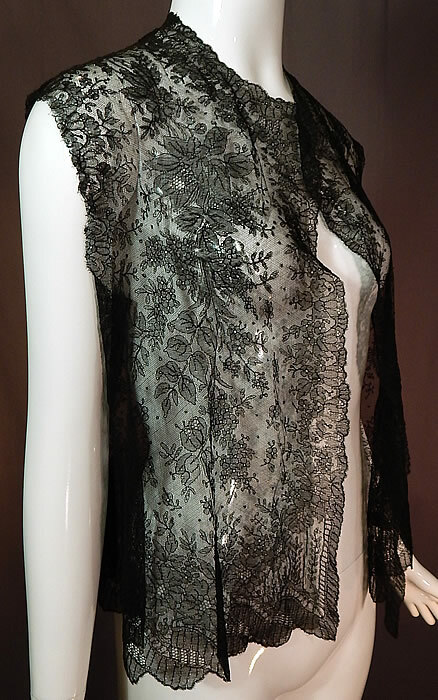 It is made of a sheer fine delicate black net French Chantilly lace, with a Swiss dot, floral foliage leaf pattern outlined in black threads with detailed shading effects and a decorative scalloped border edging. 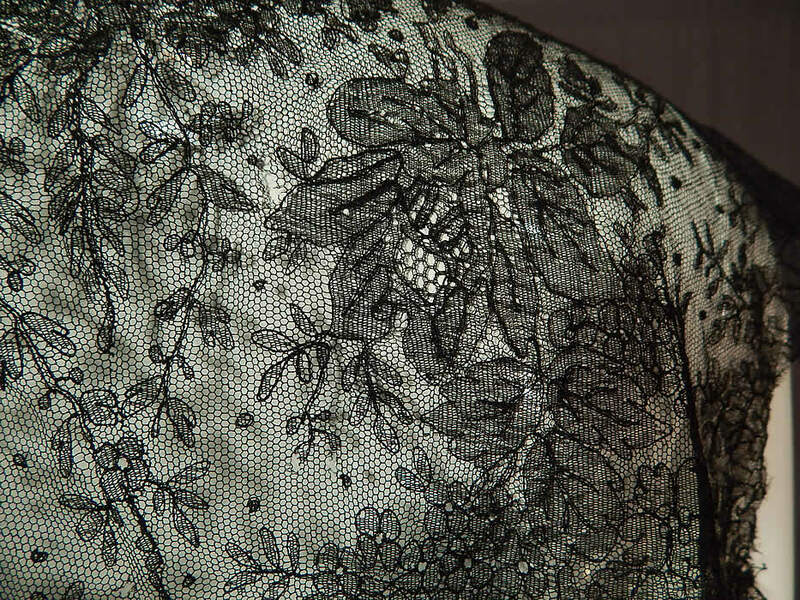 This lovely lace has a lush floral foliage design throughout. 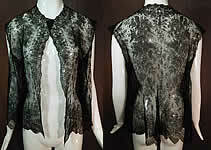 It has been created into a loose fitting, waist length, open front, sleeveless vest style blouse jacket, with no closure and is sheer, completely unlined. The top measures 22 inches long, with a 40 inch bust and 42 inch waist. It is in good condition, with only a tiny frayed hole on the back neck and side (see close-up). 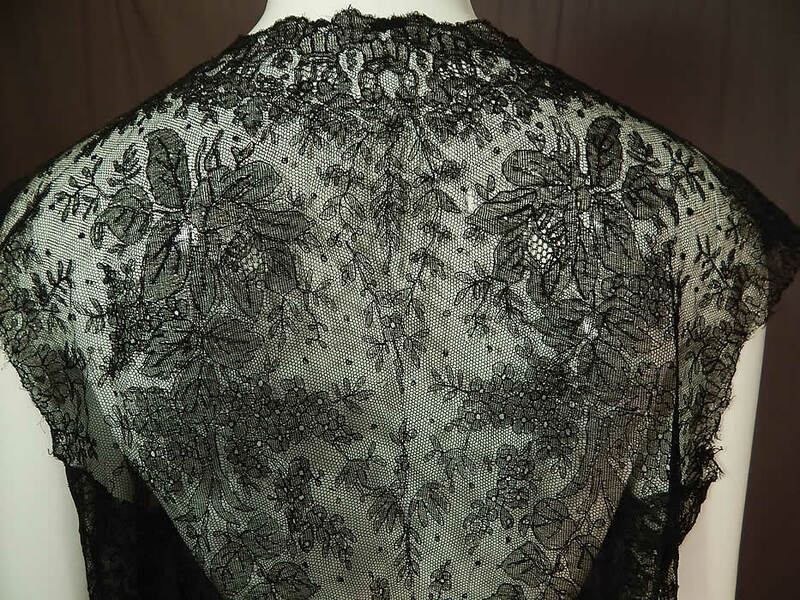 This is truly an exquisite piece of antique Victoriana lace art!